President Buhari has reportedly returned the 2016 budget to the National Assembly. 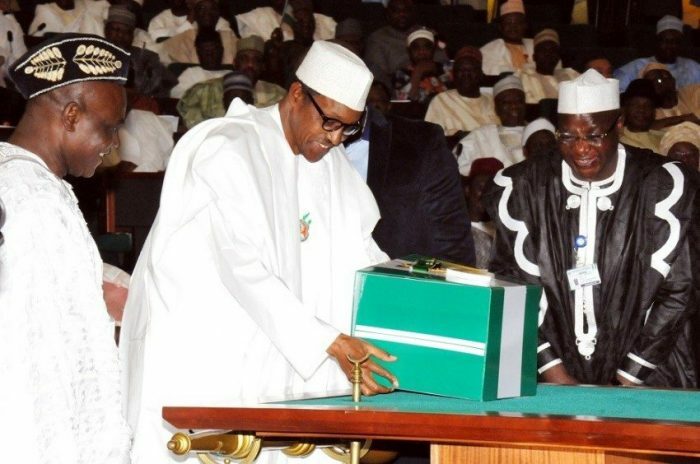 According to Vanguard, the decision to return the budget may not be unconnected with some discrepancies in the figure Buhari noticed in the reviewed budget documents sent to him by the Assembly members. The re-worked budget was reportedly sent to Buhari in the early hours of today at about 1: 15am but was returned to the National Assembly at about 12.00 noon. “The budget got to the State House at about 1.10am and Mr. President went through it early this morning and still had some issues with some of the figures. I can not tell you exactly what it was but I think the insertions made by the lawmakers were not significantly altered. You know the lawmakers had moved some allocations for key projects that are dear to the president to other areas especially to their constituency projects. Of course, they have changed some but I believe Mr. President is not satisfied with the reconciliation they made. I think this is one of the reasons why it was returned. I can assure you, Mr. President is desirous to sign the budget because he is aware and has acknowledged that Nigerians are going through hardship. He is also concerned so if the budget is cleaned up this night and sent to him, he will sign it as soon as possible. That I know very well”.